The FEC is bad. The House of Representatives isn't doing anything to make it better. H.R. 1 by a vote of 234-193 on Monday, Congress attempted to address a laundry list of nationwide problems: rampant gerrymandering, voting rights, and the vulnerability of elections to foreign interference, among other concerns. But H.R. 1, billed as the "For the People Act," also takes a shot at reforming the Federal Election Commission (FEC). It fails. does, it's often an entire election cycle after the given offense. As it is, candidates don't have much difficulty circumventing campaign finance laws, undermining the fairness of elections and opening the door to further corruption. Federal Election Campaign Act following the Watergate scandal, as Congress sought a better way to police federal campaign laws and prevent future presidents from interfering with investigations as Nixon had. The FEC has six commissioners, and no more than three can be of the same party. Four votes are required for most actions taken by the agency, and that hasn't been an issue for most of its history. But since 2008, the frequency of 3-3 tie votes hasincreased dramatically. It's why the FEC is slow to investigate cases and even slower to prosecute offenses. Supporters of H.R. 1 complain, with good reason, that the FEC has becometoothless. But H.R. 1's reforms introduce new and potentially volatile problems. it still does. At the height of FEC turmoil in 2014, the FEC only had a tied vote14 percent of the time (historically, it has been closer toone to four percent of the time) on substantive matters, although many of these tie votes occur on matters that are particularly contentious. 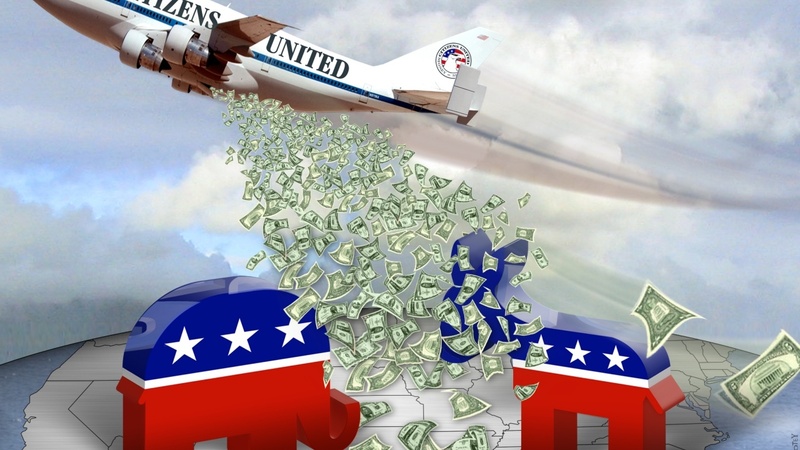 The greater problem afflicting the FEC is touched upon byNBC Washington's findings that the Republican and Democratic commissioners of the FEC almost always vote as blocs. At various times, bothRepublican andDemocratic commissioners have put party interests ahead of their agency's responsibilities. At various times, both Republican and Democratic commissioners have put party interests ahead of their agency's responsibilities. supporters instead believe the FEC's six-commissioner structure makes it dysfunctional. H.R. 1 introduces a new system of five commissioners —two from each party and one independent, eliminating tie votes. But that independent commissioner's de facto role as a tiebreaker would grant them far too much power. Save for Senate approval, there's nothing preventing a president from appointing an "independent" like Bernie Sanders or Angus King. Federal Advisory Committee Act (FACA), which ensures the transparency of advisory committees. There arearguments against FACA's necessity, the panel's deliberate exemption from the law undermines the idea that its goal is to ensure non-partisanship. Instead, H.R. 1 will allow future presidents to tilt the scales of the FEC in their favor, a fate the post-Watergate creators of the FEC were so desperate to avoid they originally had members of Congress picking commissioners before the Supreme Court ruled itunconstitutional. Apparently, the solution to excessive gridlock is one-party control. Obama andTrump, might be solved with legislation, the consolidation of power in the hands of a few at the expense of the FEC's integrity is not a winning strategy. The FEC is afflicted by the same problem that has afflicted governments for as long as they have existed – governments are made up of people, and people can be bad. The Founders, in their wisdom, sought to limit the harm bad actors could do once in power, and the FEC's current structure adheres to this principle. Currently, the consequences of bad actors in the FEC is dysfunction and frustration. But under H.R. 1's reforms, those consequences could be blatant corruption.